So here it is winter already! What a year we have had. With the Rim Fire and the Park Closing causing a little ruckus at the end of the summer we are sure happy to welcome our winter activities!! We are expecting our first snow this weekend! Badger Pass in Yosemite National Park is the most wonderful place to go. So family friendly and AFFORDABLE!! Which is rare this day and age!! Looks like Badger will be opening on December 13th this year, so grab your skis, boots and poles (or snowboards or snowshoes) and head for the hills. Stay with us at the 5th Street Inn and enjoy the beautiful drive up through Yosemite Valley and on to Badger Pass. Badger Pass is a full-service ski resort offering ski and snowboard instruction, rental equipment, a ski shop, childcare, and a cafeteria and lounge. 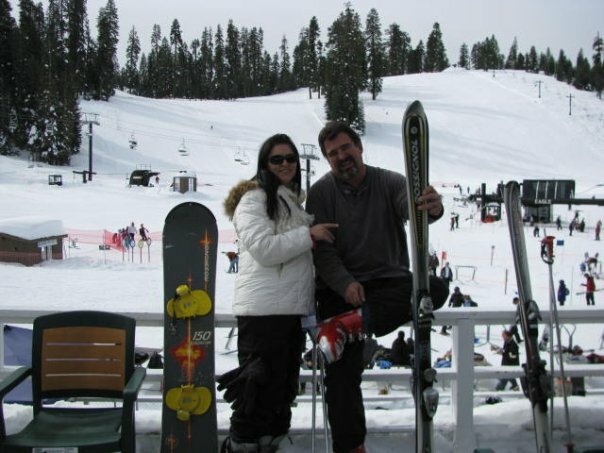 Or maybe you would like to try ice skating in the beautiful Yosemite Valley. “Ice skating has been a tradition since the 1930s. Tucked beneath the majestic forms of Half Dome, and Glacier Point, this one-of-a-kind Northern California skating rink offers breathtaking views, family-friendly fun and even just a hint of romance.” (http://www.yosemitepark.com/ice-skating.aspx) Head back to Mariposa in the evening and you can enjoy dinner at one of our fine dining establishments within walking distance of your room. The Inn got a new fresh coat of paint this fall and she is ready for the new year!!! She is beautiful!! Our staff is ready to serve you. Looking forward to your visit to Mariposa and Yosemite National Park!!! Cute, clean and cozy! The staff was very nice, friendly and helpful- with great ideas where to eat at night. 5th st inn is our new favorite place to stay in Mariposa. King suite was resort-like. Great place to relax and launch into Yosemite Valley winter wonderland. Love this Inn!!! The 5th Street Inn was awesome!! Our room was so quaint and comfy; king size bed and jacuzzi bath tub – what’s not to like?!!! Friendly staff, fun little town, and a great room!! We greatly enjoyed our stay!! Cute place in a cute little town. Excellent price. Attractive, comfortable room. Perfect for our needs. Would definitely stay there again. Excelente hotel De tudo Excelente hotel Recomendo. I will be going back and enjoying this hotel again. I have stayed in $55 to $1000+ hotels. I have finally found a place in this beautiful mountain town a hotel with the most awesome shower. No I did not want to exit the shower and go out for the night with others. But, I did. Best thing about getting out and getting on with the night was I knew that I would be showering as soon as I was back in my room. Quick nights stay. Very good. Location to Yosemite without spending a ton of money. Clean and great value for the price easy check-in (we got in late so we were given the room number and door code by text, super easy! ), room was very basic but cozy and immaculately clean. A seriously excellent value. Also walking distance to a good diner for breakfast, a decent pizza place which cured our late night hunger after a long drive, and a couple markets to buy supplies for Yosemite. Excelente el hotel y la ubicación. Muy espacioso, y limpieza excelente.